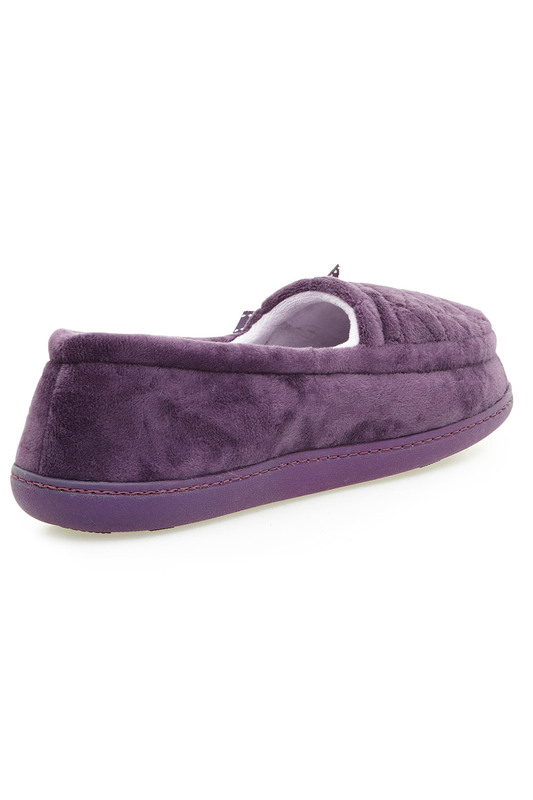 Swap your shoes for these moccasin slippers when you get home from work. 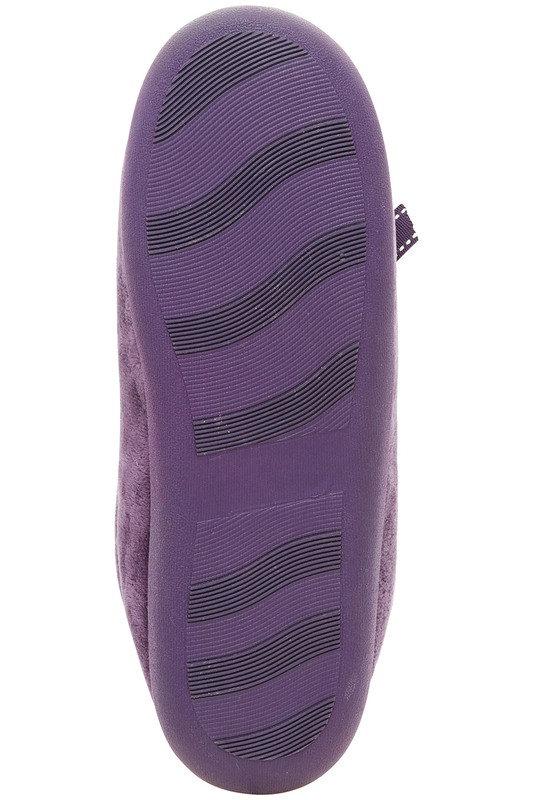 They are extra comfortable, with heart-shaped quilting detailing and spongey soles. Easy to slip on with a full shape and back, they are perfect for popping into the garden. 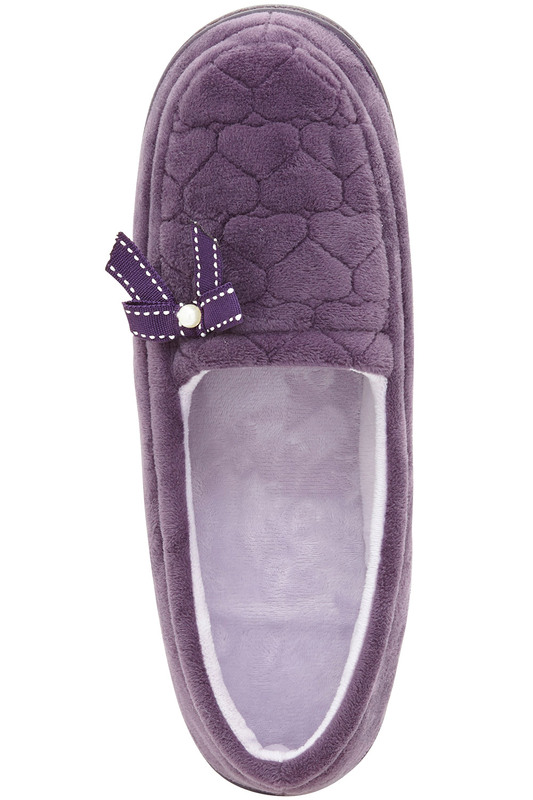 We have finished them off with a bow and diamante detail in the same purple shade.